Back in January, Weezer released a surprise covers album, The Teal Album, following the success of their “Africa” cover last year. They brought some of those covers to life last night during their Coachella set. 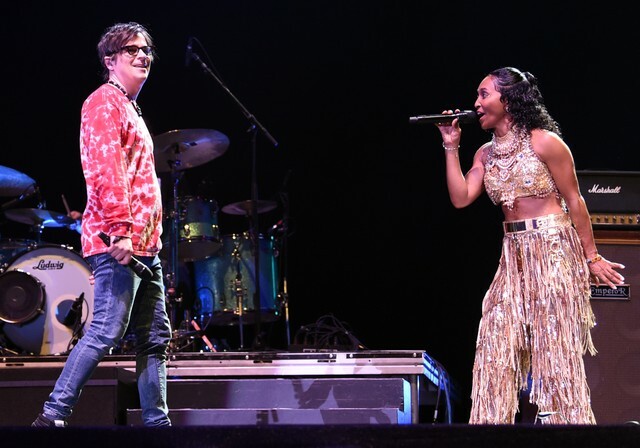 TLC’s Chilli joined the band to perform “No Scrubs.” Tears For Fears took the stage to assist them on “Everybody Wants To Rule The World.” Toto was unfortunately absent for Weezer’s live “Africa” cover. This was Weezer’s first time playing the festival in over 14 years. The setlist included hits like “Buddy Holly,” “Hash Pipe,” “El Scorcho,” “Say It Ain’t So,” and “Island in the Sun,” as well as a barbershop quartet version of “Beverly Hills.” Check out some footage below.